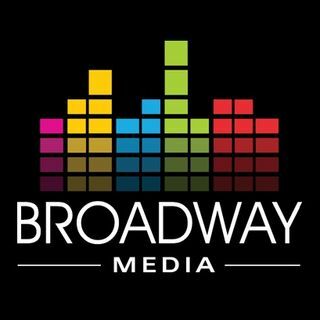 Broadway Media is headquartered in Salt Lake City, Utah specializing in broadcasting, entertainment, local events through seven terrestrial radio stations and outdoor media. X96 presents “801PUNX,” a limited-run hybrid punk rock/talk show hosted by Rancid drummer Branden Steineckert, also the author, composer and visionary behind the Real Salt Lake “Believe” anthem. Go beyond the pitch with the players and personalities around Real Salt Lake. Each Monday during the college football season the voice of the BYU Cougars, Greg Wrubell, will be joined by a rotation of coordinators Ty Detmer, Ilaisa Tuiaki and Ed Lamb. Cougar Sports with Ben Criddle (@criddlebenjamin) keeps you up-to-date on all things BYU Sports. We not only cover football & basketball, but we dive into recruiting, baseball, soccer, and more. For insight that you can't get anywhere else, tune into 960 AM or 94.5 FM Monday-Friday from 3-7 PM MST. Follow us on social media ... See More @espn960sports & interact with us using #ESPN960. While they both work in the nightlife/entertainment industry, podcast creators Bangarang and Ian have very different views, experiences, and opinions on issues pertaining to the industry. Bangarang of Mix 105.1 and U92 and Ian Hiscock of V2 Presents and Sky SLC came up with an idea to put together a podcast for the people that address ... See More their different experiences and features local influencers and tastemakers within Salt Lake City, as well as artists DJ’s and producers from within the industry. This is DJ’s Corner Podcast. Utah's #1 sports talk and home to Real Salt Lake and University of Utah Athletics! A show about all things geek: comics, movies, TV, toys, role-playing games, video games, etc. The podcast is recorded complete with alcoholic beverages, and new episodes every Monday afternoon. The very first Geek Show was called Geek Chat and premiered on the Radio From Hell Show KXRK X96 in Salt Lake City on August of 1996. The name ... See More changed to GEEK SHOW for legal reasons. Although the panelists have changed through the years, The host has remained, Kerry Jackson. Now he is joined by a panel of equally impassioned Geeks, each experts in their fields. Jeff Vice, Film Critic and Scott Pierce TV critic from the Salt Lake Tribune. Leigh George Kade, RPG expert and artist. Shannon Barnson, wild card and Jackson's lifelong friend. Catch Gunther & Ben live, weekdays from 2 to 6 pm on ESPN 700! Real Salt Lake defender Tony Beltran takes the mic and talks to his friends around the club about anything but soccer. The Utah DMA's sports radio leader - ESPN 700 Sports Radio, the flagship home for Real Salt Lake of Major League Soccer - hosts "OnFrame," a weekly soccer-themed and RSL-focused talk show. Kicking off every Monday night at 6:00 p.m. MT on ESPN700 AM and streaming worldwide on ESPN700sports.com, the show is hosted by RSL ... See More insiders Trey Fitz-Gerald, and Brian Dunseth - the author of the first-ever home goal in RSL history, who concurrently serves as the club's TV color analyst - and will feature interviews with MLS and international soccer personalities. ESPN 700's Cyrus Holt and Mitch Harper play the odds in this entertaining sports gambling podcast that looks at local sports in the state of Utah and nationally. The guys will talk NBA, NFL, College Football, and College Hoops, all year long and give you the odds to make money at the book. The daily update from Real Salt Lake. Real Salt Lake club news and interviews. The Remain Seated Podcast with Gina Barberi. The official RSL chants created for all fans - season ticket holders, supporters groups, fans who have been to games since day one, or fans who are about to go to their first ever RSL match at the RioT - to listen to and learn RSL chants. J.P. Chunga and Porter Larsen host Sports Saturday from 10am-Noon, every Saturday, getting a look at the sports news of the weekend both locally and nationally. A podcast hosted by Richie T. Steadman. It's a catch all for the random interviews that Richie T. Steadman of Salt Lake City does with guests of varying levels of fame and import. Lots of good things can happen over a meal. You have a little food, a little bit to drink and the next thing you know, you’ve solved all the world’s problems. That’s what we want to do with The Let’s Go Eat Show. Every so often I, Bill Allred, will find someone interesting from entertainment, the arts, or politics, and sit down with them ... See More for some food, some drinks, and some conversation. Not your average movie podcast, Braden Clark and Jim Stevens team up to form the best duo since Lethal Weapon. In our show we will cover the upcoming blockbuster films, the films you may have missed, and bring local artists to talk about life as an actor in Utah. Come join our fray, and be a part of our big movie nerd family. Radio From Hell is the longest running radio program in the Salt Lake City area, and has consistently been rated as one of the best programs in the area by media reviews and polls. The show has received praise from outside the Utah region; Rolling Stone cited KXRK as one of the top-five rock and roll radio stations in the U.S., and ... See More reported that Radio From Hell was one of the longest-running local radio programs in the U.S.
Previews, lineups and reactions from Utah Royals FC digital media. All of the coach's shows that ESPN 700 brings to Utes fans. During Football season, catch head coach Kyle Whittingham and head coach Larry Krystkowiak during Basketball season. Utezone.com, the online leader in University of Utah athletics coverage ventures onto the airwaves with Utezone Radio every single Wednesday evening on ESPN700 from 7 to 9 PM. Hosted by local radio veteran and Utezone.com staff member, Brian Swinney, along with weekly rotating hosts from the Utezone stable of contributors, Utezone Radio ... See More will cover all aspects of University of Utah athletics with a strong focus on football, basketball, and recruiting for both sports. Get caught up each week with Utah Valley University athletics, including hearing men's basketball head coach Mark Pope each week. You wanna know the bands? Well, first you have to meet them. Richie T, Producer and DJ at X96, chats it up with up-and-coming artists that you're just dying to know more about including The 1975, The Neighbourhood, Bastille, Solarsuit, Deap Vally, Twenty One Pilots, Cage The Elephant, and more. Curious about the origins of band ... See More names? How the bands formed? How they feel about cats? Yup. That's all here.